Mozilla Firefox 8.0 was released yesterday. If you’re an Ubuntu user then thanks to the Mozilla PPA (maintained by the Ubuntu developers of course) we can easily install it (including its beta versions). Anyway, starting with the version 7.0 Firefox the world’s most secure web browser :P, reduced both start-up times and memory usage thanks to some optimizations. Though there aren’t any significant “resources” improvements this time it seems but according to this official Firefox 8 release notes there are quite a few handy features nonetheless. Now you can search for Twitter from the integrated search engine window, improved “Tab” moving (it certainly feels lighter when you move tabs here and there, just like with Google Chrome), better HTML5 support, WebGL enhancements, CSS improvements and usual bug and security fixes etc. 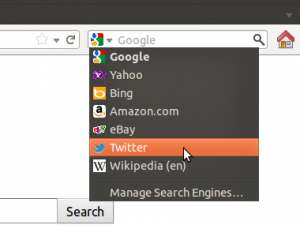 The recent version of Ubuntu such as 11.04 Natty and 11.10 Oneiric Ocelot users should receive the updates automatically (it’s already there for the 11.10). But for other older versions you’d have to do that manually. In that case, you can install firefox 8.0 in Ubuntu 10.10 Maverick Meerkat and 10.04 Lucid Lynx by using the below commands in your Terminal window. That should do it. But remember at the time of writing this post, Firefox 8.0 is still pending the approval but it should arrive pretty quickly (heck, it might even be there when you read this) thanks to Chris. A Powerful Photo Editor/Enhancer for Ubuntu Linux – Fotoxx!